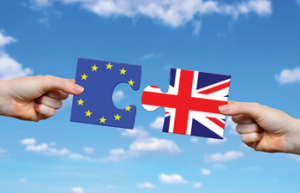 How will ‘Brexit’ affect the equine industry? The United Kingdom is a world leader in equestrian sport, with an industry that is worth around £7 billion to our economy. The industry also employs around 200,000 people in full-time roles around the country, specifically in rural areas. Leaving the European Union should not greatly affect the UK’s position as an equestrian sport leader – but there are a number of factors that need to be considered. 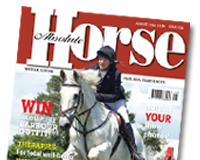 The falling value of the pound may actually benefit the equine industry – as it will encourage international trade for British horses. The thoroughbred sector may see a rise in exportation, particularly to America, driven by the value of the pound against the dollar. Despite the fearmongering, EU citizens residing in the UK will not be asked to leave if we leave the EU. Racing has a fairly high population of workers from outside the UK, with a large section of these workers from outside the EU itself. One factor that may see some change will be the practice of UK nationals heading abroad to further their experience and training. With the legislative change promised by Brexit, workers may need to apply for a working permit to perform placements in Europe. The change may also alter the border control practices that govern equine transport, meaning there may be a slowing down or speeding up in the process by which a horse is moved for import/export or competitions. The UK has an industry-leading status as a producer of equestrian products. While the changes in value to the pound may increase demand for products, the longer term prospects that will be on offer for foreign markets to take advantage of will not become clear for several years. The trade deals that are rumoured to be offered to Britain, coupled with the country’s strong status as an leader in the equestrian sector, are signs of a strong future.